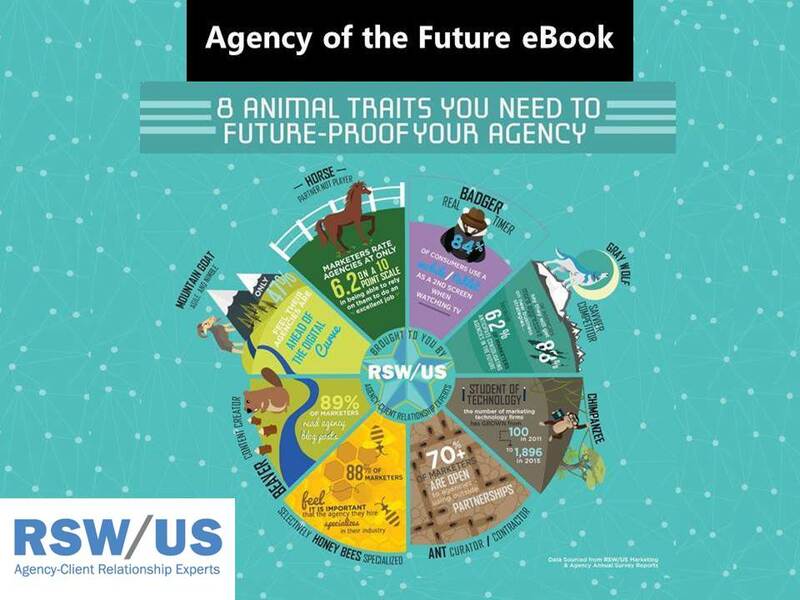 Our RSW/US Agency of the Future eBook was born out of a request from Magnet Global for us to paint the picture of “The Agency of the Future” at one of their Global conferences. 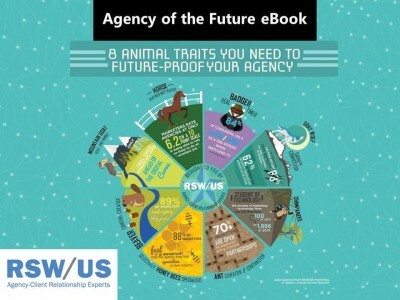 While looking several years into the future of a rapidly changing industry could seem to be a daunting task, our work at RSW/US offers us a unique opportunity to view the worlds of both Agencies and Marketers. With this, we learn from organizations from each group nationwide about anticipated opportunities, challenges and needs, as well as developing trends. Our Agency/Marketer Survey Reports generate insights that identify traits agencies need to possess in order to “future-proof” their business as the industry evolves over the next several years. Ideally the contents of this eBook help you prepare your own agency or marketing services firm for a future that is exciting, successful and prosperous for you and your clients.